The above Fallout 4 map shows you where you can find all the X-01 and T51 Power Armor frames. 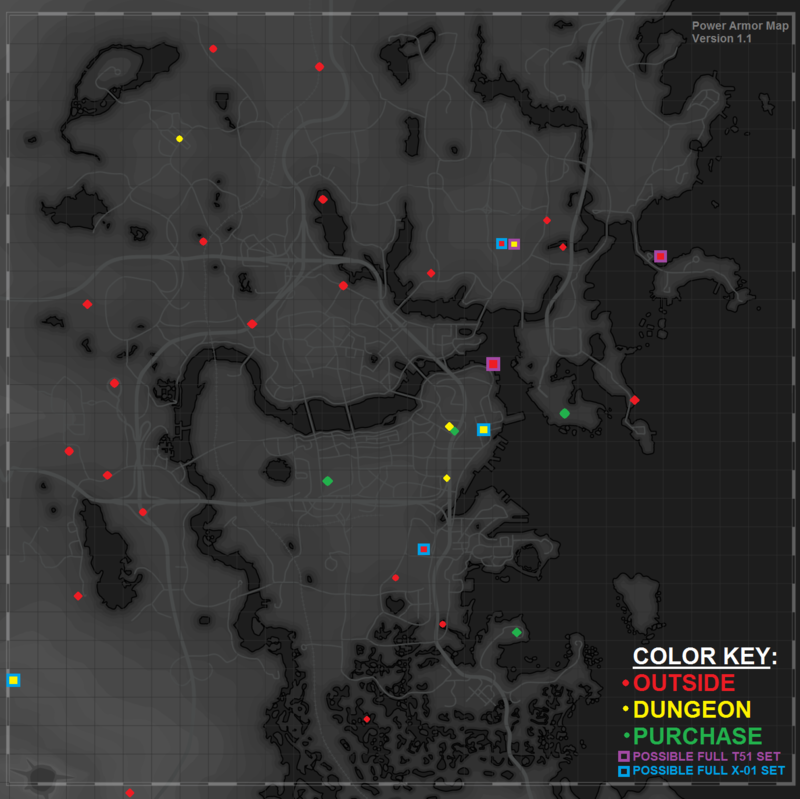 The legend on the map shows the meaning of the various colors for each Power Armor frame. These Power Armor suits can help protect you against the dangers of the Commonwealth. Click the Fallout 4 map above to view the full printable version.